Anna Hansen updates the humble afternoon tea with her take on the British classic of scones and strawberry jam. 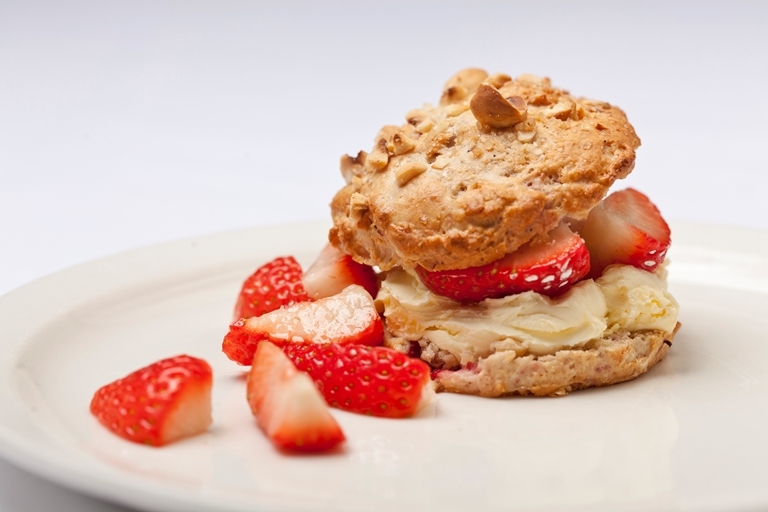 Toasted hazelnuts add nutty depth and texture to the scones, while adding ground tonka bean to both the scone mix and strawberry compote adds a huge flavour boost, with spiced notes of vanilla and clove. Preheat the oven to 220°C/gas mark 8.